World Mosquito Day is celebrated every year on August 20th to commemorate Sir Ronald Ross’ discovery in 1897 that female mosquitoes (later identified from the genus Anopheles) transmit malaria to humans. Since Ross’ discovery over 120 years ago, we certainly know more about malaria and how to prevent it, but there’s still a long way to go. Malaria continues to be endemic (regularly found) in many countries and due to increases in international travel, particularly to tropical areas, the number of malaria infections in travellers has been increasing. Misconceptions about the severity of malaria, how to prevent it, and areas of risk can lead travellers to arrive at their destination inadequately prepared and unprotected. Malaria can be prevented by avoiding mosquito bites and using appropriate antimalarial medication. However, for even the most seasoned traveller, knowing when and how to use antimalarial medication can be confusing. In this blog, we address common misunderstandings and questions that travellers have about antimalarials. Should I take antimalarial medication? How do I get a prescription for it? Risk of malaria exists in in tropical and subtropical regions near the equator including most areas of Southeast Asia, the Indian subcontinent, sub-Saharan Africa, and South America. Popular tourist destinations like Brazil, Cambodia, Kenya, Panama, South Africa, and Thailand all have areas with risk of malaria. Do you know if your destination has risk? Find out here. Make an appointment with your healthcare provider or travel clinic at least 6 weeks before you depart. Based on your health status and the risk of malaria at your destination, your doctor will prescribe antimalarial medication, mosquito-bite avoidance measures, or nothing at all. Be advised that some antimalarial medication can be costly, so make sure to budget for it when planning your trip. Other people I’m travelling with are taking different antimalarial medication or none at all. Should I change or stop taking my prescribed medication? At your destination you might encounter other travellers who received different malaria prevention advice. Despite this, it’s important to stick to the antimalarial medication you were prescribed for the duration of your trip. Here’s why: Antimalarial medication is prescribed based on individual risk. This can vary according to your health status, medication you are currently taking, destination, trip itinerary, type of travel, planned activities, length of stay, accommodations, and season. Different countries also have different malaria prevention and treatment guidelines, so a traveller from Germany may follow different prevention measures than a traveller from Canada. In short, it’s common for travellers to follow different antimalarial medication regimes, but you should not discontinue or change the regime you were prescribed without the advice of a doctor. Why do I have to take antimalarial medication for so long? The female Anopheles mosquito bites from dusk to dawn and does not hum or leave a welt at the site of the bite, so you won’t know if you have been bitten or not. Antimalarial medication works by killing the malaria parasites during their development stage in the liver and red blood cells. You need to begin taking your antimalarial before you enter the risk area to give it time to establish in your system. It takes a minimum of 7 days for the malaria parasite to complete its lifecycle in humans – this corresponds with the first signs of flu-like symptoms, including fever, fatigue, headache, and muscle ache. However, malaria symptoms can take up to 14 to 30 days to appear. Continuing to take antimalarial medication after leaving the risk area will prevent the parasites from establishing themselves. There are five species of human malaria parasites: P. falciparum, P. vivax, P. ovale, P. malariae, and P. knowlesi. If you are infected with P. vivax or P. ovale, the parasite can lie dormant in the liver for months or years. Depending on the medication prescribed (Chloroquine/Hydrochloroquine, Atovaquone-proguanil, Doxycycline, Mefloquine hydrochloride or Primaquine phosphate), you may need to take it on a daily or weekly basis. Make sure you take the medication as prescribed for the full course of the prescription. What about the side effects of antimalarial medication? Chloroquine – stomach upsets, itching skin, nausea, diarrhea, blurred vision, and headaches. Atovaquone-proguanil – stomach upsets, vomiting, headaches, and nausea. Doxycycline – photosensitive skin reactions. Mefloquine hydrochloride – nausea, headache, neurological effects such as dizziness, ringing of the ears, loss of balance, and psychiatric effects such as anxiety, depression, mistrustfulness, and hallucinations. Primaquine phosphate – nausea and abdominal pain. Your doctor will be able to explain the different side effects of each antimalarial medication so that you can choose a regime that works best for you. If you are unsure of how an antimalarial medication will affect you, you may want to test the medication a couple of weeks before your trip. If significant side effects do occur, talk to your doctor about changing your prescription. It’s important to give yourself enough time to test the medication and make any changes. For full descriptions of antimalarial medications, their side effects, and contraindications, check out: How to Protect Yourself Against Malaria. It’s important to take your antimalarial medication consistently and for the full course of your prescription. If your medication regime requires you to take it daily, take it at the same time each day. For weekly regimes, take it on the same day each week. In the instance that you miss a dose, take it as soon as possible that day. For daily regimes, if you miss the dose completely for that day, skip the missed dose entirely and continue with your next dose. Never take a double dose to make up for a missed dose. What should I do if I run out or lose my antimalarial medication? It’s always advisable to purchase all necessary medication prior to your departure. However, in the event that you need antimalarial medication at your destination, you should only purchase medication from a reputable pharmacy. Avoid buying medication from markets or unlicensed pharmacies, as medication may be fake or substandard. Unfortunately, fake antimalarial medications are common in many areas with risk of malaria. What should I do if I think I have malaria? Malaria is a serious emergency. If you are in, or returned from a malaria risk area and have flu-like symptoms, seek medical care immediately. Make sure to tell your doctor you were in an area with malaria so they can consider it as a diagnosis. If malaria is left untreated or treatment is delayed, it can lead to severe complications including death. I’ve been infected with malaria in the past. Do I still need to take antimalarial medication? 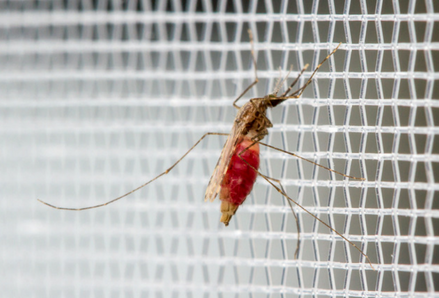 Some adults who have lived in malaria-endemic regions throughout their lives develop partial immunity, but only for a short time. In fact, travellers with the highest risk of malaria infection are those who no longer live in a malaria-endemic country but return to a malarious region to visit their friends or family. Their immunity wanes while living in a malaria-free country because they are no longer exposed to malaria parasites. However, when travelling to a malarious area, they face the same level of risk as travellers who have never been exposed. Previous malaria infection does not confer immunity so if you travel again to an area with malaria, preventive measures are necessary. Photo by Alexander Wild. Used under license.